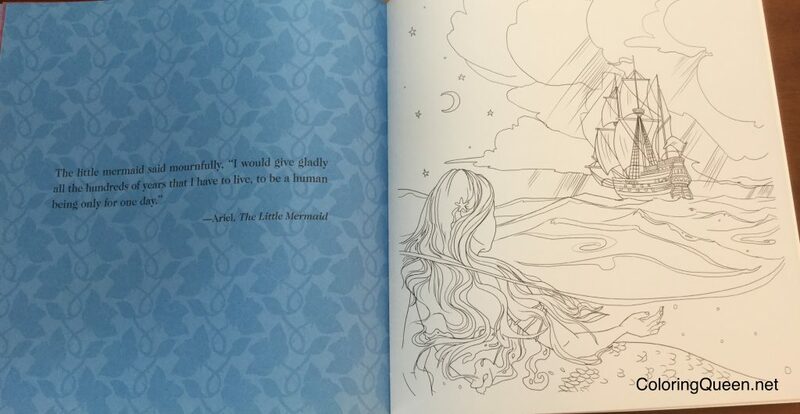 Delve into the magical world of fairy tales, with gorgeous original artwork to colour in yourself. Join Cinderella, Snow White, and Rapunzel - and even Maleficent and the Beast! - on their timeless, magical adventures. 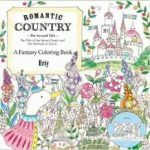 Colour Your Own Fairy Tales takes you to the top of the highest tower, past gingerbread houses and guarding dragons, and deep into the incredible world of enchantment, as you colour in 96 pages of charming original illustrations. 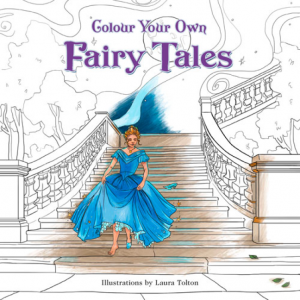 I hope you enjoyed the video review above of Colour Your Own Fairy Tales by Laura Tolton. 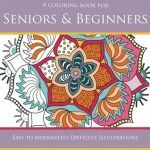 This is the second coloring book for adults by illustrator Laura Tolton with the same theme. 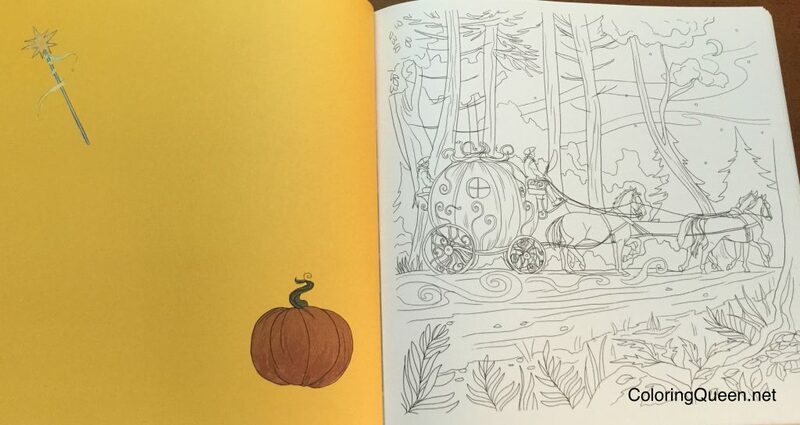 Her first “Colour Your Own” coloring book was released in 2015 and like so many artists with a penchant for fairy tales it was Alice in Wonderland themed (I don’t know how an Alice in Wonderland Coloring Book passed me by!). 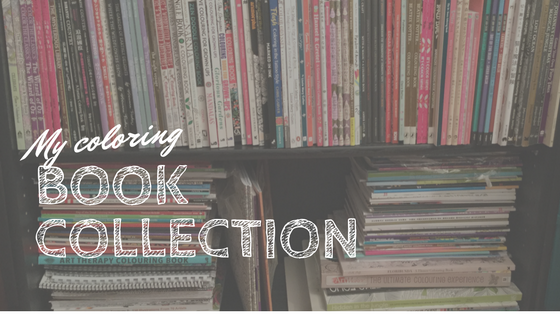 I have a few fairy tale themed coloring books …well quite a few 🙂 One thing that I have noticed is most of the coloring books tend to illustrate the same fairy tales. 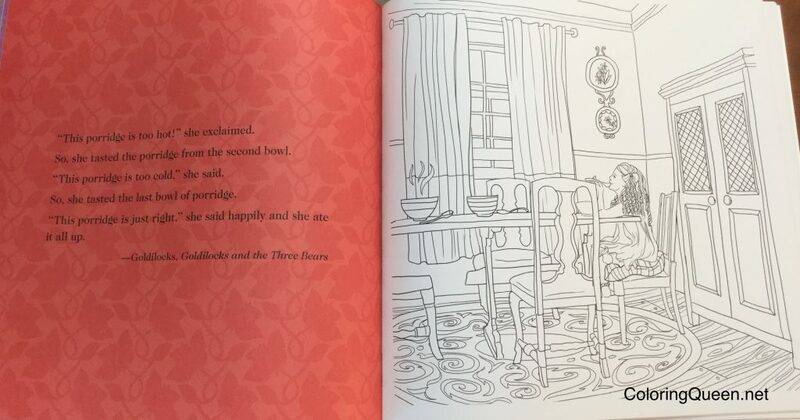 It seems that some fairy tales are omitted like Goldilocks and The Three Bears. 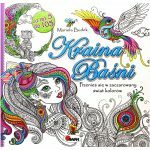 Fortunately, this coloring book contains the usual fairy tales as well as some of those elusive ones like Little Red Riding hood and Goldilocks! 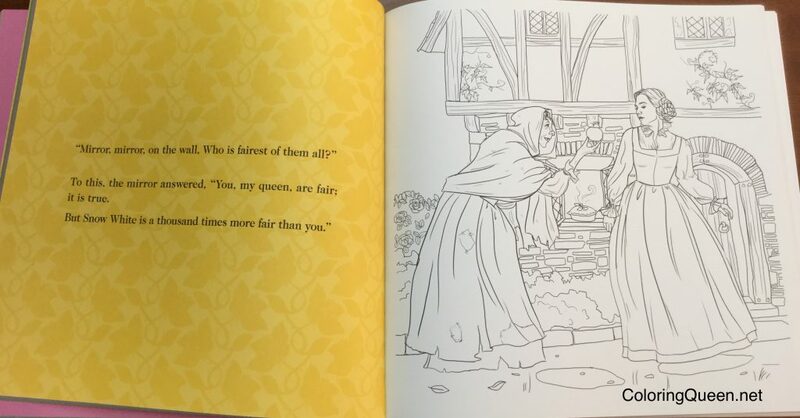 Here’s what fairy tales are inside – Beauty and the Beast, Cinderella, Sleeping Beauty, Snow white, Hansel and Gretel, Little Red Riding Hood, Rapunzel , Goldilocks and The Three Bears, Rumpelstiltskin, The Three Little Pigs, The Little Mermaid and the Princess and the Pea. 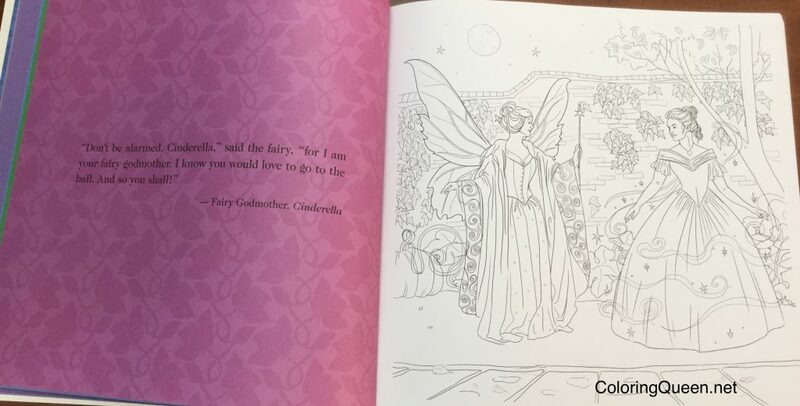 The cover of Colour Your Own Fairy Tales features the midnight scene from Cinderella which is partially colored. 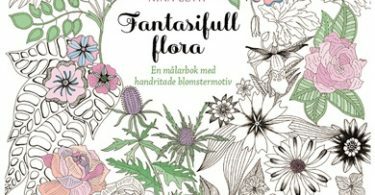 Whilst there is line art that you could color on the cover the matte laminate covering may make it difficult. The title and spine has been printed in purple reflective foil. 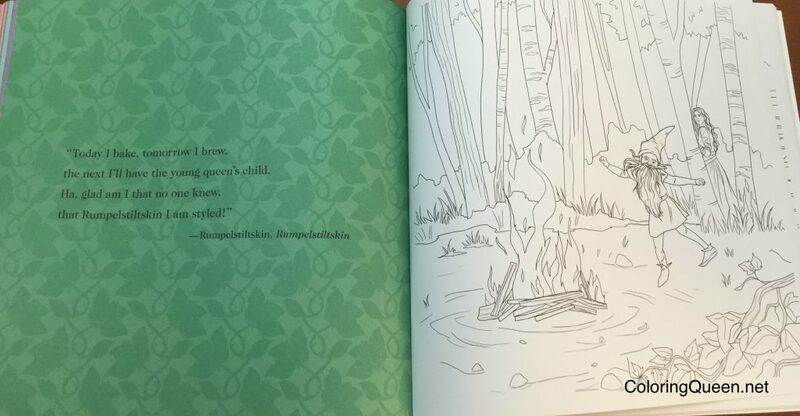 The back cover contains some elements from different fairy tales that have been pre colored. The front cover has been reproduced as the title page in the book. 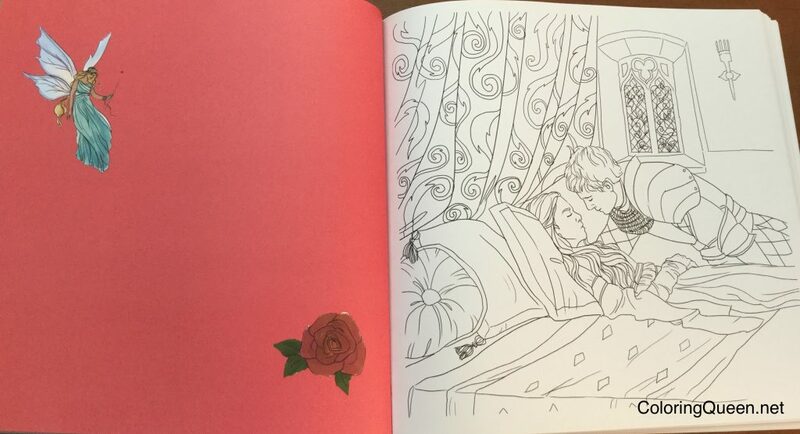 I always think that this is a nice touch as it eases you into the coloring book with a familiar image. 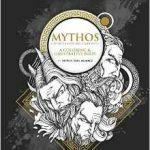 An Introduction follows that sums up the history of fairy tales taking us down an historical path from the earlier Italian fairy tale writer, Giambattista Basile to the well known Brothers Grimm. This introduction is really quite interesting, if you love fairy tales, and I was enjoying reading it so much I was disappointed that it was only one page. 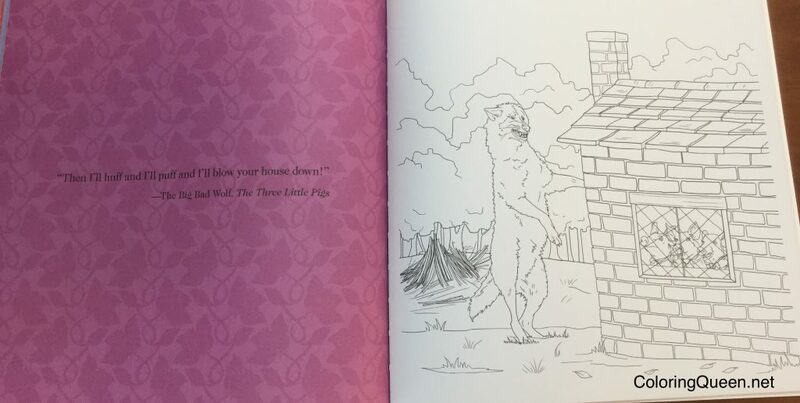 Colour Your Own Fairy Tales has an unusual layout for a standard coloring book. 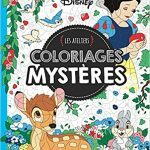 Each fairy tale begins with a colored page depicting the name of the fairy tale and a few colored elements that relate to that tale. 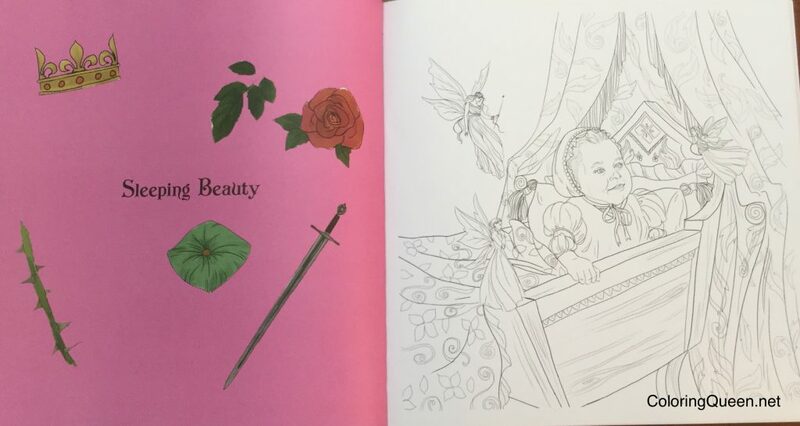 Line art follows illustrating the fairy tale over the next 3 to 6 pages, depending on the fairy tale being illustrated but the facing page is always colored. 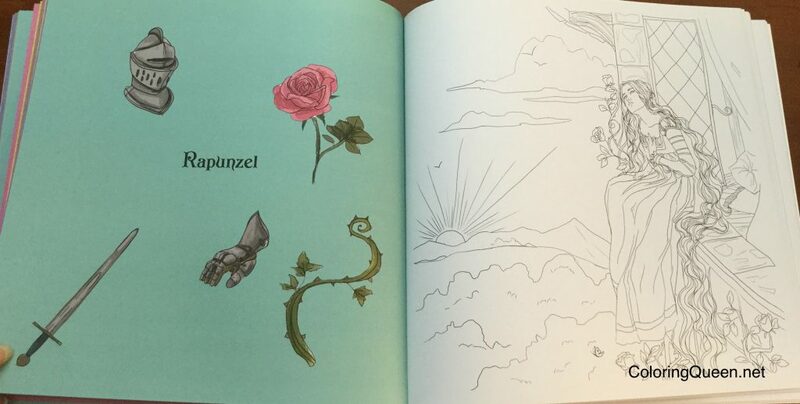 the colored page may contain a few colored pictures from the tale or a a few sentences from the fairy tale. 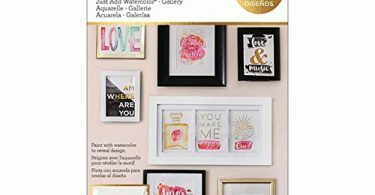 This means that the picture that you are coloring in, is in effect a single sided illustration with a colored reverse page. The paper is a white medium quality paper. 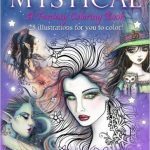 The advantage for the colorist is that any medium can really be used as the reverse image cannot be colored. 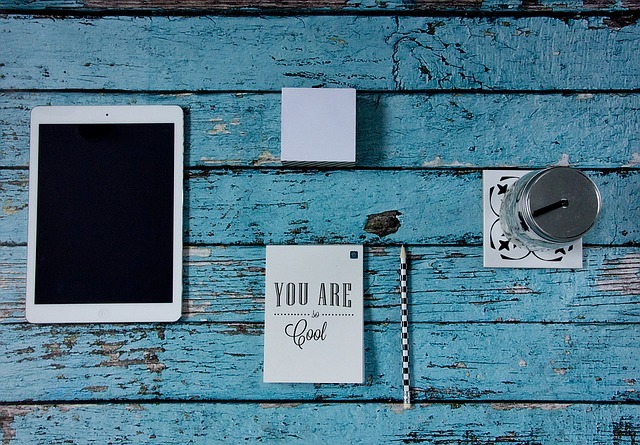 As always, place scrap paper behind the project that you are working on in order to avoid pencil indentations on the remaining pages or marker bleed through. The images have all been orientated portrait style. 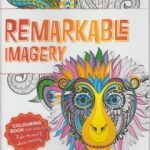 The art work in this book is lovely. 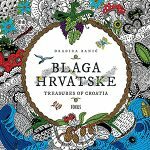 It really depicts the traditional nature of the fairy tales and how you would imagine them. 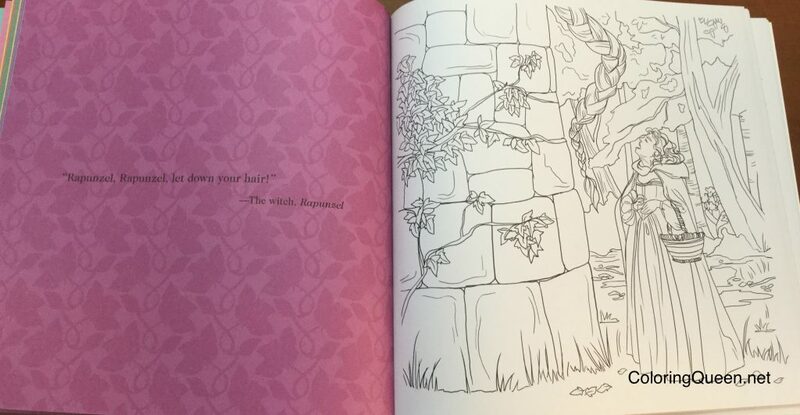 You will find all the well known scenes from fairy tales depicted in this book, the mirror from Snow White, that staircase slipper scene from Cinderella, Sleeping Beauty asleep until her Prince appears, the over the top stacked mattresses from the Princess and the Pea and, of course, Rapunzel letting her hair down. 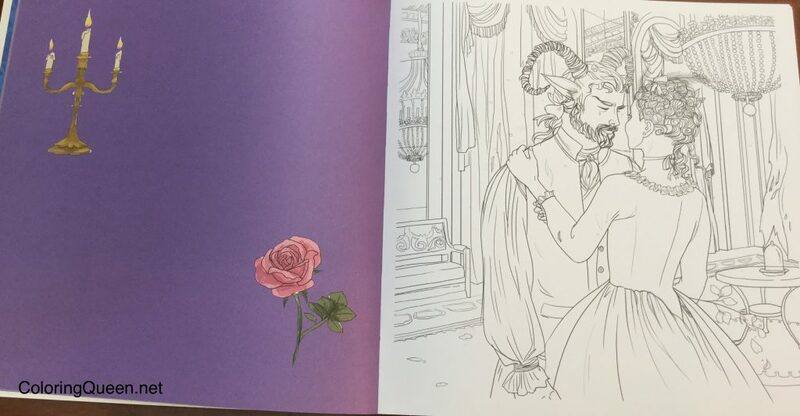 Alice in Wonderland has not been included in this fairy tale book, possibly because the artist’s first book was solely based on that fairy tale. 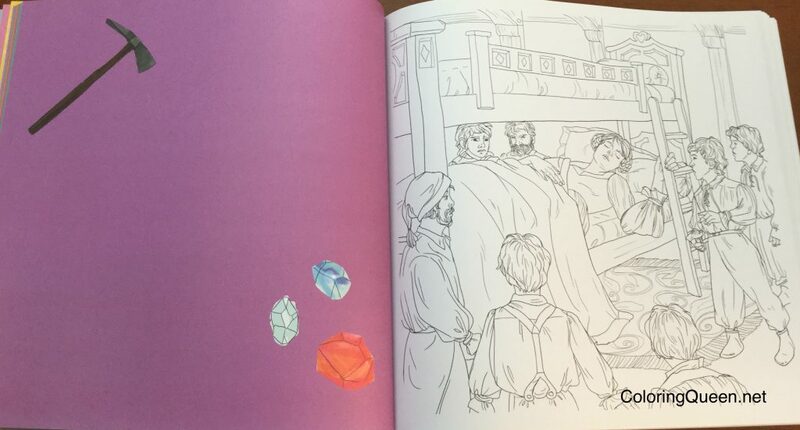 In addition, to the well known scenes from fairy tales a lot of the secondary scenes have been illustrated as well. 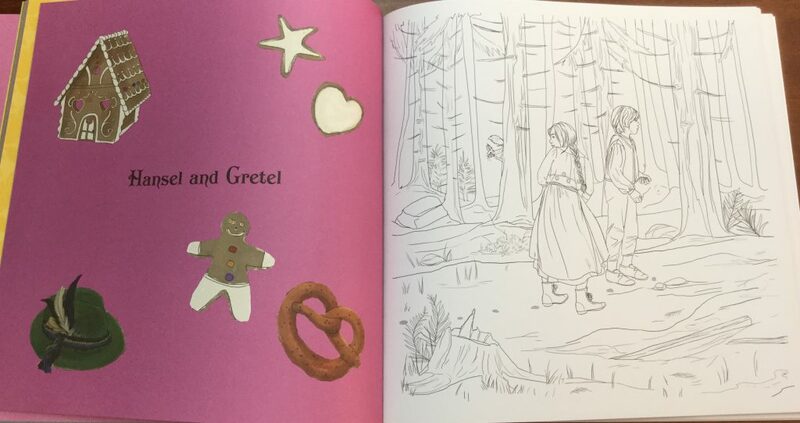 We see Hansel and Gretel going into the woods, the Prince and the dragon from Sleeping Beauty and so much more. 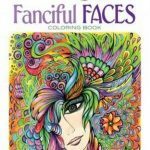 Colorists that have minor visual impairment, or are challenged by finely detailed pages, will find that this book offers them a lot of large open spaces to color in. However, as some of the line art is a fine line and a dark grey, and the magnifying lamp may need to make an appearance. Please click on an image below to view it in more detail.